Turnover went through a pretty remarkable transition between their 2011 self-titled EP and their full length follow-up, Magnolia, which was one of my favorite albums of 2013. So it will be interesting to hear what other shifts in sound and style this band has in store for us with their upcoming EP, Blue Dream, which comes out on August 26. The EP’s first single, “Disintegration,” begins with a simple, minimalist kind of sound, stripped down to gentle guitar arpeggios and subdued vocals that enhance the song’s especially reflective, introspective lyrics. Then, a little beyond the halfway mark, the emotional floodgates open as the chill guitars and somber vocal style abruptly give way to a beautifully noisy, turbulent crescendo that pretty much leaves me speechless every time I listen to it. If you’re a fan of Balance and Composure or Brand New (especially their 2006 magnum opus The Devil And God Are Raging Inside Me), you’ll most likely love “Disintegration.” Stream it below, courtesy of Brooklyn Vegan, pre-order their EP here, and fall in love with this extremely talented, ever-evolving, genre defying band. 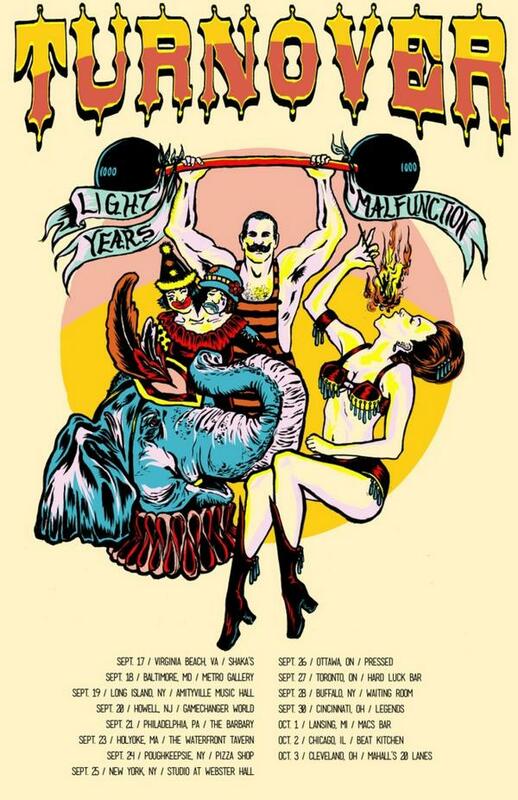 The band will also be touring with Light Years and Malfunction this fall. Tour dates are listed below.